A farm without livestock? Unthinkable! A flock of happy chickens, pigs to take to market, a freezer steer—they’re part of most city dwellers’ escape-to-the-good-life plan. Meanwhile, established hobby farmers dream of raising profitable, mortgage-lifting poultry or livestock. But what? There are countless hobby-farm livestock options to choose from, but which (if any) are right for you? Here we compare some traditional barnyard favorites and a select group of alternative animals to help you choose. Are you willing to be on call for you livestock 24/7, 365 days a year? Will you dutifully camp in the barn when horses are foaling? Will you roll out of bed at 2 a.m. to feed a bottle lamb? Are you able to retrieve escaped cattle and repair their flattened fences under a sizzling noonday sun, missing that long-anticipated televised ball game or NASCAR racing in the process? Animals rarely get hungry, sick, loose or injured at convenient times. Is a livestock sitter available when you need one? If not, would you forego dinner invitations, overnight trips and well-deserved vacations to care for your livestock? Keeping livestock invariably ties you down. Can you weather the inevitable livestock keeper’s lows? How will you react when your favorite broodmare shatters its leg or a weasel slaughters a slew of your prized chickens? Animals die and injure themselves and each other. Evaluate whether you can handle these stressors. If keeping livestock for profit, are you capable of selling the animals? Could you send the steer to slaughter or could your sell the foal you love? Are you willing to pull out the stops to market your wares and continually monitor market trends to stay on the cutting edge? Do you have the means to advertise and market your business, maintain a farm website, and haul your livestock to expos, demonstrations, shows and sales? If not, think “pets,” not “produce,” and don’t become a breeder. Can you afford to support your animals when things go awry? Markets falter. Disease can rip through your herd. Expect the unexpected when keeping livestock. The endeavor can be a pricey proposition. You need to ensure you have the financial resources to see yours through bumpy times. What is your motive for keeping livestock? Do want means of producing offspring to raise or to sell? 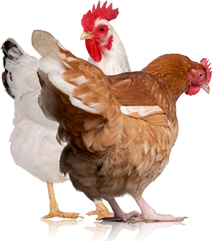 Are you simply wanting to raise livestock as pets? If you keep livestock to claim a lower cost agriculture land tax assessment, your venture must eventually turn a profit. How much profit is enough? And would you be content if you lost money or your animals simply paid their way? Like the animal—and the people involved. Whether you decide to keep one animal or 100, you should genuinely enjoy working with the livestock species you select. You must also like the people associated with it. When you are buying, selling, co-op marketing or showing, you’ll be dealing with the people involved on an ongoing basis. Ensure the livestock species you choose is suited to your climate. You could breed yak in South Texas and hair sheep in northern Minnesota—but why? Panting yak and shivering sheep are unhappy campers. Talk to area livestock keepers and choose a livestock species adapted to the weather where you live. Choose a livestock species compatible to your temperament and physical capabilities. Loud, abrupt or timid individuals rarely resonate with flighty, reactive poultry and livestock. “Do-it-my-way-or-else” humans and headstrong, aggressive animals are bound to clash. Assess your mindset carefully and choose a compatible species. It’ll save a heap of upset for all concerned. Interacting with many animal species requires considerable brawn. Don’t take on a bird or beast you physically can’t handle. It’ll be frustrating and dangerous if you do. Prepare adequate facilities before bringing livestock home. If you don’t already have the necessary livestock facilities available on your farm, make sure you have enough land, financial resources and know-how to make the necessary improvements. Also make sure you can obtain the necessarily building permits to make the changes. If you need chutes and squeezes, raceways or 7-foot bull-tight fences, build them or choose a different species. Factoring in injuries, losses and breakouts; it’s the safe and economical thing to do. Take care of the livestock-keeping legalities before purchasing animals. Acquire any licenses and owner/breeder permits required by federal, state and local authorities, and make certain your property is zoned for the sort of livestock you plan to keep. Discuss your livestock venture with area veterinarians. Are veterinarians in your qualified to treat the kind of animals you choose to keep, whether it be chickens, bison, alpacas, deer or something else? Are the veterinarians willing to treat your animals? If not, are you willing (and able) to transport sick or injured animals to a specialty practice and to learn to perform routine maintenance procedures yourself? Decide whether you want your venture to be self-sustaining. Visit successful breeders and producers, and ask a world of questions. Subscribe to periodicals, read books, and conduct online research. Meet with county cooperative extension agents, and consult with experts at your state veterinary college. Educate yourself to perfection before you buy. Don’t charge into any livestock enterprise on the basis of hearsay. Niche Marketing: Raise a livestock species that you can market to a specific demographic. You can try raising goat kids or lambs for a specific ethnic community, or raise organic or grassfed meats. Value-added Marketing: Instead of raising animals for market, raise them to sell their by byproducts. 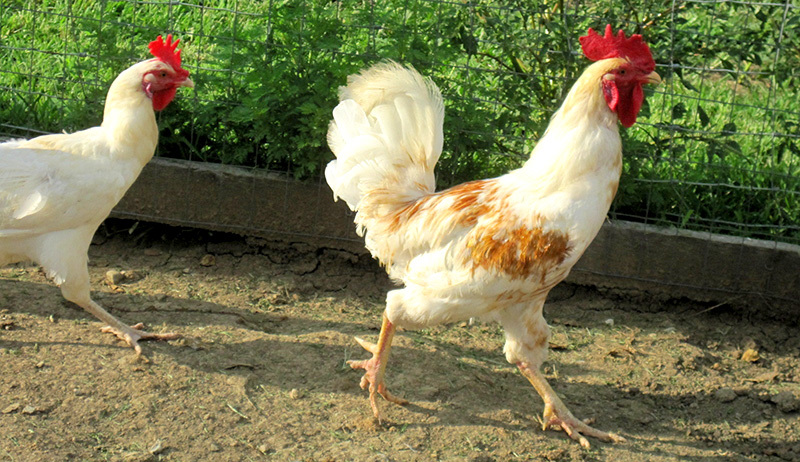 You can raise sheep or goat for cheese or yogurt or free-range chickens for eggs. 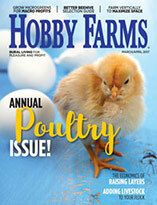 Here’s a run-down on some of the most popular livestock for hobby farmers. Commercial beef prices skyrocketed in 2003; however, more sustainably profitable cattle ventures include marketing specialty beef—certified organic, natural or grassfed—and raising rare breed or miniature cattle. Beef cattle are a fine choice for hobby farmers. They’re low maintenance and don’t require elaborate facilities. Most folks can manage cattle with a minimum of fuss and local veterinarians can generally treat their illnesses. Chickens are part and parcel of the rural experience. They demand little beyond a safe place to sleep, feed, water, and a few hours of your time each week spent egg gathering and cleaning their quarters. In trade you get eggs and table meat. It’s a good deal! 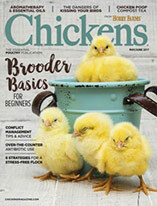 Organic, natural and free-range chicken and eggs are health-conscious buyers’ first choices. Tack a sign to your mailbox or market through your local natural-foods co-op. Larger-scale ventures can investigate commercial niche marketing. However you cut it, chickens have a place on every farm. According to Florida A&M University’s publication “Markets for Meat Goats,” 70 percent of the world’s population regularly dines on goat meat. As ethnic communities in North America continue to expand, so does the demand for quality goat meat. To answer that demand, roughly 327,000 goat carcasses are imported to the United States each year. In 1999, 492,000 domestic goats were slaughtered at federally inspected meat plants and an additional 300,000 at state inspected or informal facilities. Meat goats are today’s most promising livestock. The demand for goats raised and slaughtered to ethnic specifications vastly exceeds the foreseeable domestic supply. Viable goat ventures for those opposed to slaughter include dairying, marketing artisan quality goat’s milk cheese, producing high-end Angora and Cashmere fleece for hand spinners, and raising dairy-, meat- or fiber-goat breeding stock. While many folks dream of raising horses, in reality, few horse breeders manage to turn a consistent profit. Nevertheless, there are always a few “hot” breeds in which money can be made. Can you peg tomorrow’s favorites? If you can, perhaps you’ll be the breeder who beats the odds and makes a living breeding horses. It’s true: Most small- to medium-sized commercial confinement hog operations have closed shop due to high overhead costs and low pork prices. However, pastured pigs are easily cared for, and organic, humanely raised pork is in demand. Many folks enjoy working with pigs. If that’s you, investigate those profitable specialty markets; ATTRA can help show you the way. Ask for a free, sustainable pig production report. Sheep once were considered “mortgage lifters,” now it costs more to shear commercial sheep than the wool is worth. But lamb prices remain fairly strong, especially lamb marketed to coincide with Christian, Jewish and Muslim religious feasts. Because hair (meat) sheep shed their fleece, they don’t require shearing—and they breed out of season, producing marketable lambs at just the right times. Hair sheep are growing increasingly popular with niche-market lamb producers, making them a best bet project for sheep entrepreneurs. In 1994, the United States imported 66 million pounds of sheep’s milk cheese. And according to the University of Wisconsin’s report, “A Snapshot of the Dairy Sheep Industry,” meat and wool producers can boost their gross incomes by about 75 percent by milking their ewes. The American dairy sheep industry is in its infancy but rapidly expanding. Other fruitful sheep ventures include marketing specialty fleeces to hand spinners and raising hair sheep, miniature, rare or heritage sheep breeding stock. Female alpacas run $10,000-30,000, and a pet or fiber gelding costs $1,000 or more. In the large scope of livestock choices, there are more investment syndicates doing well in alpacas than any other farm-animal investments. Llamas sell for considerably less than their diminutive cousins, but breeding high-end llamas is cost-effective, too. Llamas can be marketed as pets, pack and cart animals, and as sheep and goat herd sentinels. And both of these friendly camelids produce marketable fleece. Raising rabbits for pets, fiber (Angora) and table meat makes good sense, but don’t go big-time right away. Proceed with caution and feel out the markets in your area. If you find a meat-rabbit buyer who accepts your fryers or if you’re willing to create a local market, go for it.